Turn on English subs!!! 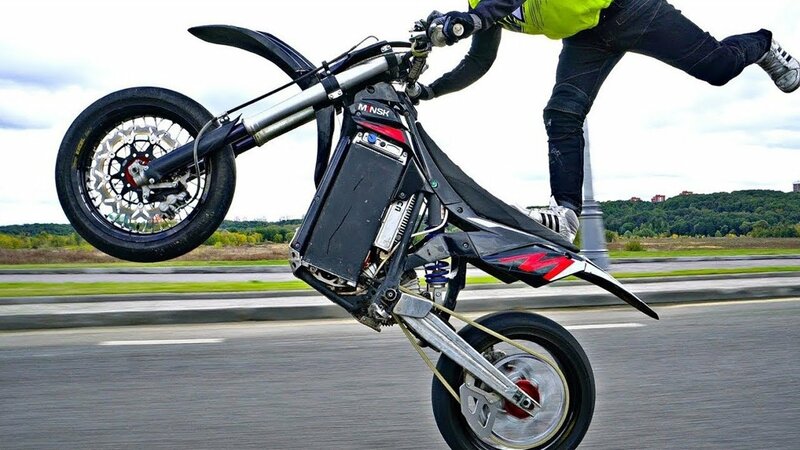 Dima Voronkov tests russian electro motorcycle in the streets. Bike has 50kw engine, which is equivalent to 4-stroke 450сс MX bike. The weight is 128kg - good result for such dynamic parameters. Riding time is about 40 minutes in full throttle mode and 3 hours in street mode. Charging time is 30 minutes from 380V and 2 hours from 220V. Bike passed one year hard test on motocross track and now it’s modified for street riding.